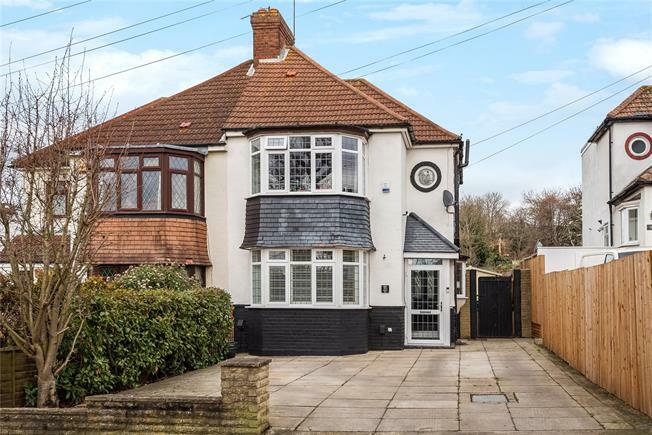 3 Bedroom Semi Detached House For Sale in West Wickham for Asking Price £575,000. Attractive extended three bedroom family home with fantastic views overlooking Layhams Farm and beyond. This property is well presented and set on a popular road. The ground floor has been extended and briefly comprises; porch, entrance hall, utility area, cloakroom, reception room to front with bay window and shutters, modern fitted kitchen/breakfast room and a further reception room with doors to garden. The first floor has a family bathroom and three bedrooms. Externally the mature rear garden is in excess of 100 ft. mainly laid to lawn with two patio areas and a garden studio. To the front there is off-street parking for a two/three cars. Layhams Road is located close by shops in Coney Hall Village, local schools and bus routes and is accessible to both Hayes and West Wickham High Streets and stations. Viewing recommended.